We offer a great selection of premium, super chilled draught and bottled beers, and a wide selection of soft drinks and fruit juices and milkshakes. 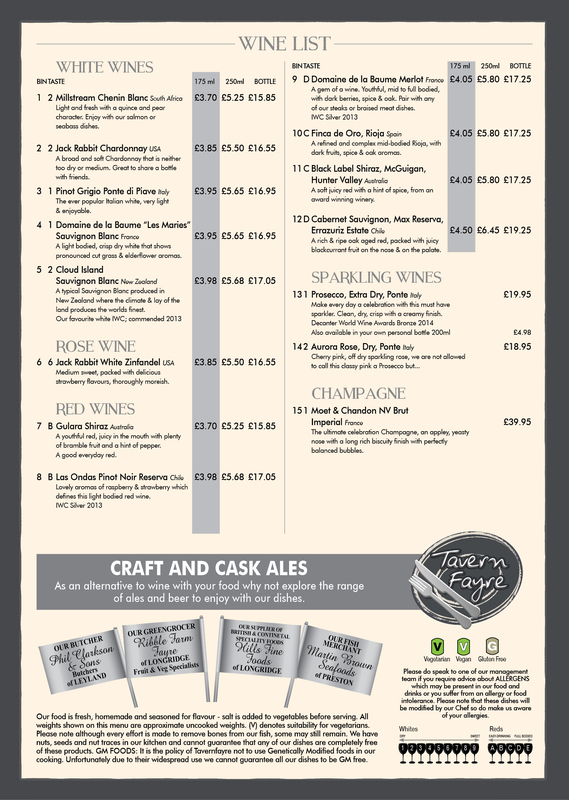 Our Cask Ale selection offers a showcase for our local Brewers and Microbreweries . We like to champion the very local — some of our favourites include Black Edge Brewing Company, Three B`s Brewery, Dunscar Bridge Brewery, and Prospect Brewery and the new Pennine Brewery Company. Each Cappuccino and Latte is made from beans which are freshly ground for each cup, and made in the traditional manner, by hand. Why not just drop in and enjoy your favourite drink. The ever popular Italian white, very light and enjoyable. A broad and soft chardonnay that is neither too dry or medium. Great to share a bottle with friends. Medium sweet packed with delicious strawberry flavours, thoroughly moreish. A youthful red, juicy in the mouth with plenty of bramble fruit and a hint of pepper. A good everyday red. A refined and complex mid bodied rioja with dark fruits, with spice and aromas. A rich and ripe oak aged red, packed with juicy blackcurrant fruit on the nose and on the palate. The ultimate celebrate Champagne, an appley yeasty nose with a long rich bisuity finish wuth perfectly balanced bubbles.